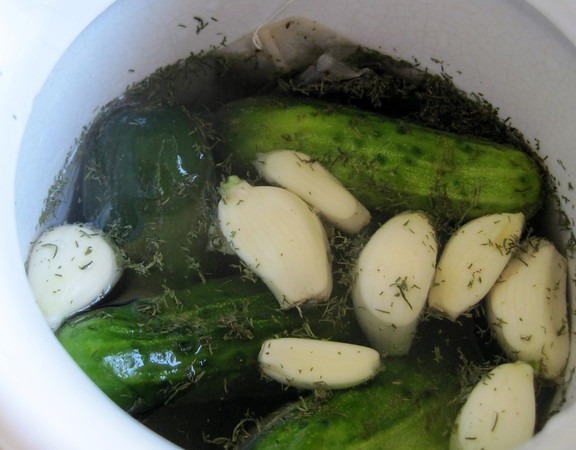 I’ve made pickles a few times this summer. They tasted great, but they weren’t crunchy. Then I read on a forum how one can use a tea bag in the ferment to preserve the crunchy. I tested it out this week and it works. You need to use black tea. 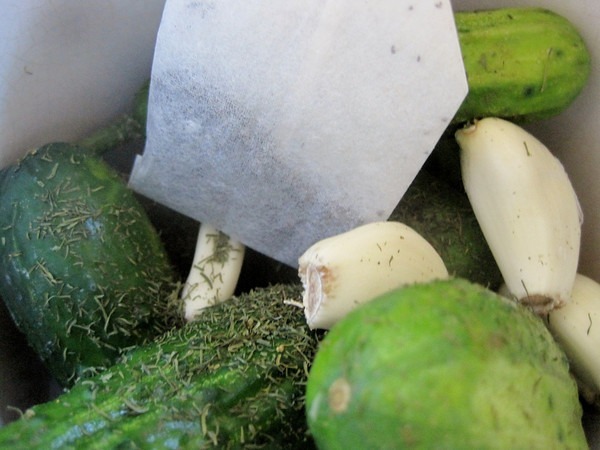 Check out the Awesome Pickle post Live-fermented dill pickles with tea for a pickle recipe that uses tea bags. Previous Is High Intensity Training Best for Ectomorphs? Their 8/2 post describes a 1-week kimchi. What do you think? @Jim – 1 week sounds right to me. Most of mine clock in around 6 days. What a great tip! Divine and I didn’t think to eat pickles during the summer, but what a fantastic idea! Thanks for the tip! I just made my first fermented pickles (actually cauliflower) and I’ll definitely try the tea bag trick in my next batch. @Jim I thought one week was a little short, too, but that kimchi tasted great. I usually let mine go longer, but it all comes down to taste and how quickly the fermentation is moving, which seems to have a lot to do with how hot it is. Interesting that in the new book The Art of Fermentation there is a quote from “a team of Korean academics” that determined optimal taste for kimchi required just a 3 day ferment with a 3% salt ratio. I’ve done 3 day ferments in the heat of the summer that tasted awesome. They don’t have the diverse probiotic cultures of older ferments, but they still taste good!